The performance of any system composed of specialty optical fibers will depend on the quality of the fusion splices comprising the assembly. This quality is frequently determined by optical power loss, but mechanical reliability or modal effects can also be critical performance factors. Dissimilar fusion splices between modern specialty optical fibers is an important, but frequently overlooked, engineering challenge. 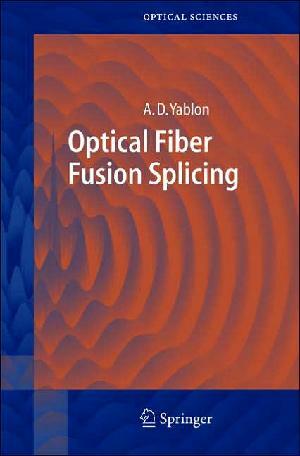 Our fusion splice analysis staff features A.D. Yablon, author of the recent text Optical Fiber Fusion Splicing (cover image below) published in 2005 by Springer (Springer Series in Optical Sciences, vol. 103) and available directly from the publisher (www.springer.com) and from fine academic book sellers everywhere. From the research laboratory to the production floor, from a detailed analysis of a fusion splice sample to an intelligent fusion splice optimization, Interfiber Analysis offers the expertise to solve your most vexing fusion splicing challenge. Since we do not market fusion splice hardware but instead provide fusion splicing advice, we offer an unbiased and independent perspective. Contact our staff for more information.